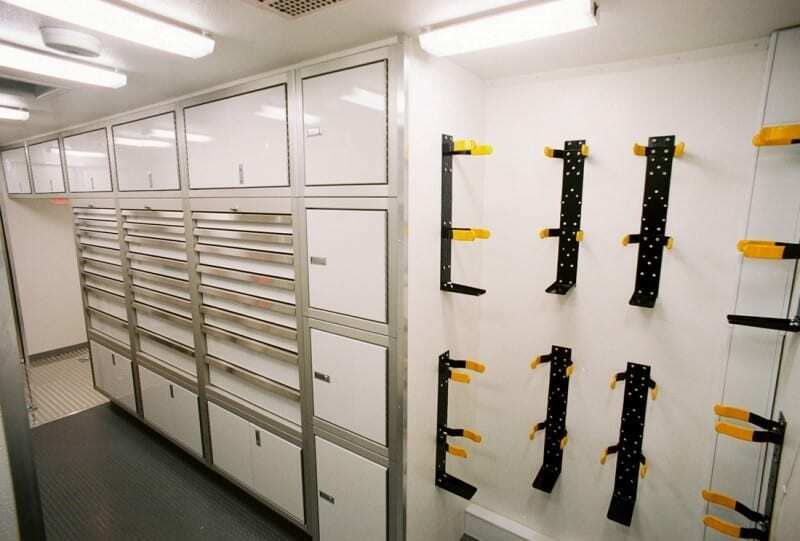 For closed utility, trailer owners, fixed lightweight high-alloy aluminum trailer cabinets are safer and easier for transporting tools and other items. They can be secured to the wall, floor, or you can have a combination of both. Aluminum trailer cabinets offer an advantage over steel cabinets. Steel cabinets are heavier. Aluminum cabinets provide extra storage and add less weight to a trailer. This means less stress on your truck and more miles per gallon. Before choosing between wooden or aluminum cabinets, know what your trailer’s walls are made of. Simply remove one original wall screw and use a hand-held light to look behind the wall. We send you detailed information on how to mount your Moduline trailer cabinets. Screws should be long enough to adequately secure the cabinets, but not so long they penetrate the trailer’s exterior wall. Moduline’s mobile high-alloy aluminum cabinets are built to last throughout the challenges of your day-to-day mobile environment. Steel and wood cabinets often rust or deteriorate, especially when they’re exposed to moisture. Our aluminum cabinets are designed to last for a lifetime and you have our guarantee on it. They maintain their beautiful appearance throughout their lifetime. One reason that we chose aluminum for our cabinets is that they are resistant to discoloration and fingerprints. Explore your trailer storage options and other accessories to make your utility trailer more functional by giving us a call at (888) 343-4463. 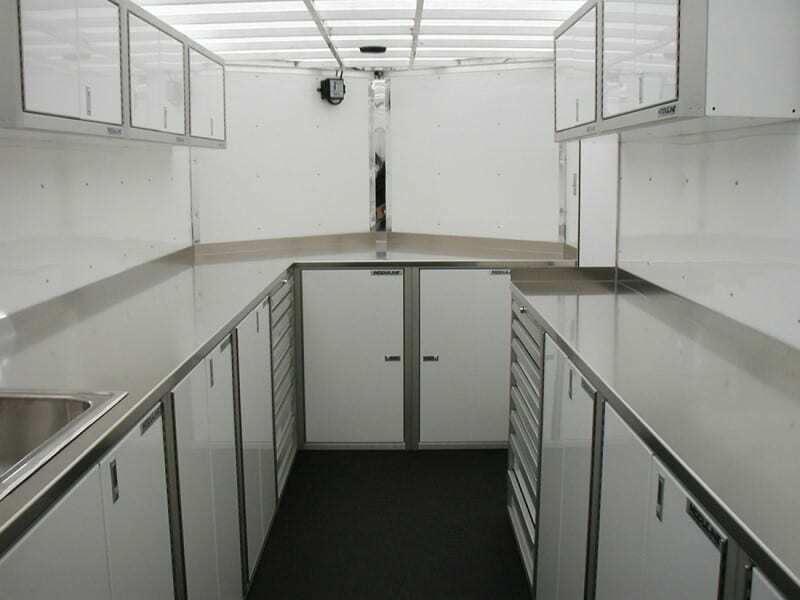 We can guide you through selecting the right cabinets for your mobile vehicle or trailer.